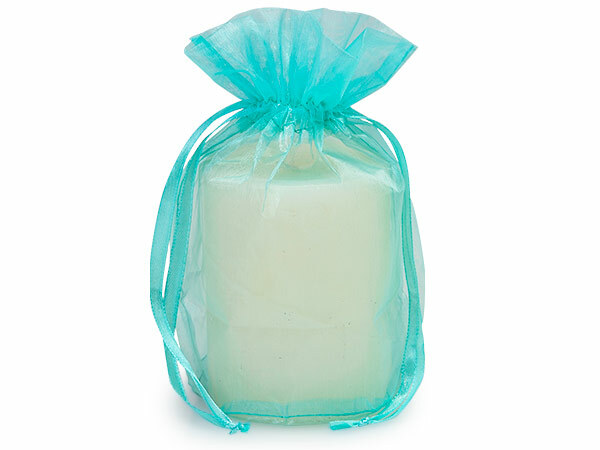 6.5x4x7" Aqua Organza Sheer Bags with coordinating satin drawstrings. Bag has a 4" diameter circle bottom. Height to top of bag is 7", height to bottom of drawstring is 4-1/2". Width at top of bag is 6-1/2". 100% Nylon.